Spencers Room... 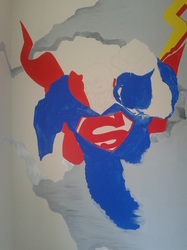 Although I enjoy painting pretty much any that comes along, the child in me loves projects like this. 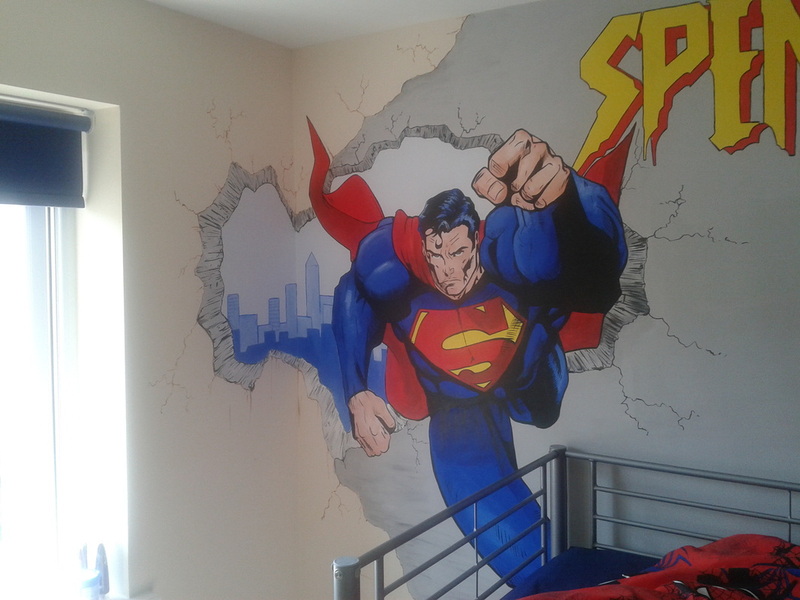 After a consultation with Spencers parents who kind of knew what they wanted for their son we settled on the images that you see here. 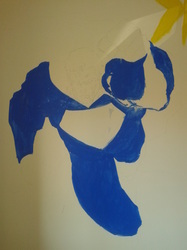 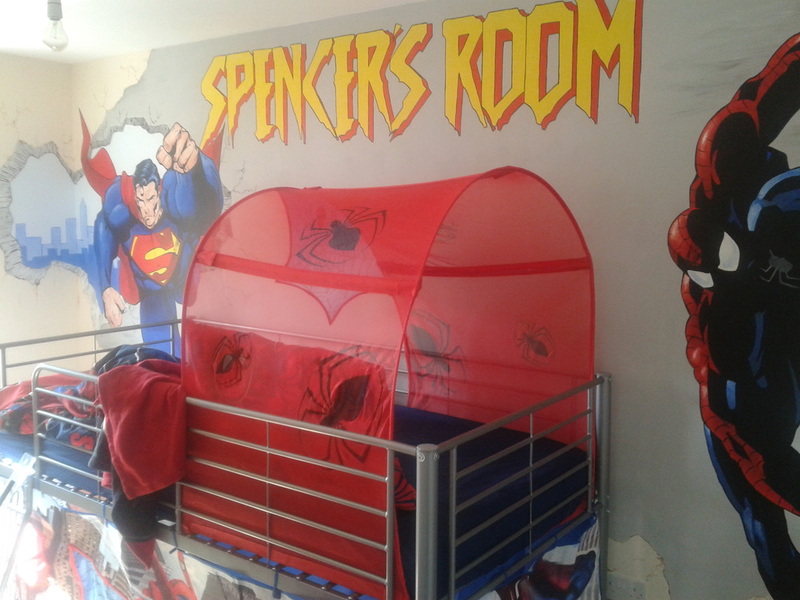 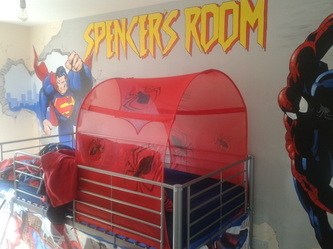 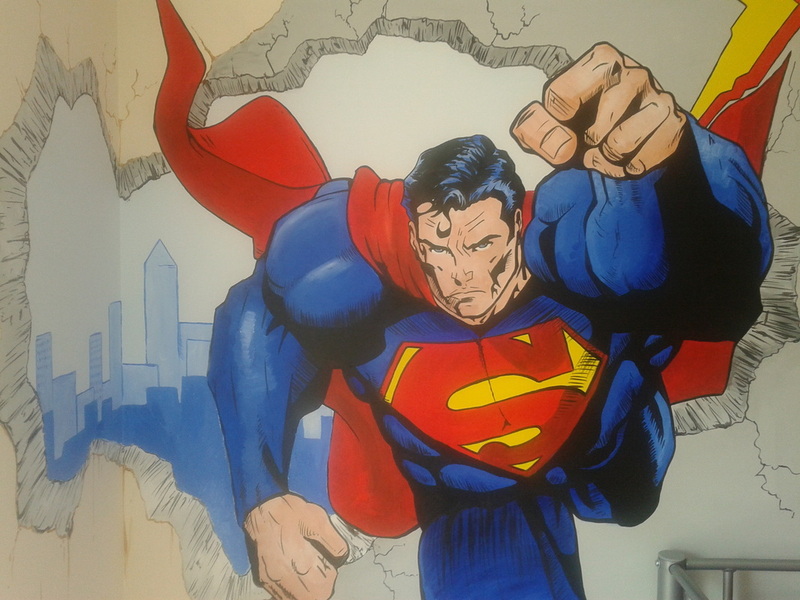 The two favourite characters were clearly Spiderman and Superman, as part of the wall mural they wanted the whole wall brought in as one large image, incorporating a "breeze block" colour into the back drop (so it didn't look as though the characters had just been stuck on). If you look at the four corners of the wall you can see that we have made it look as the feature wall mural has unfinished plaster hanging off. 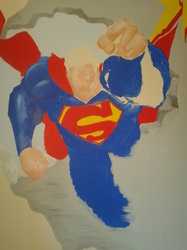 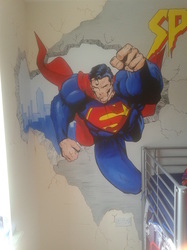 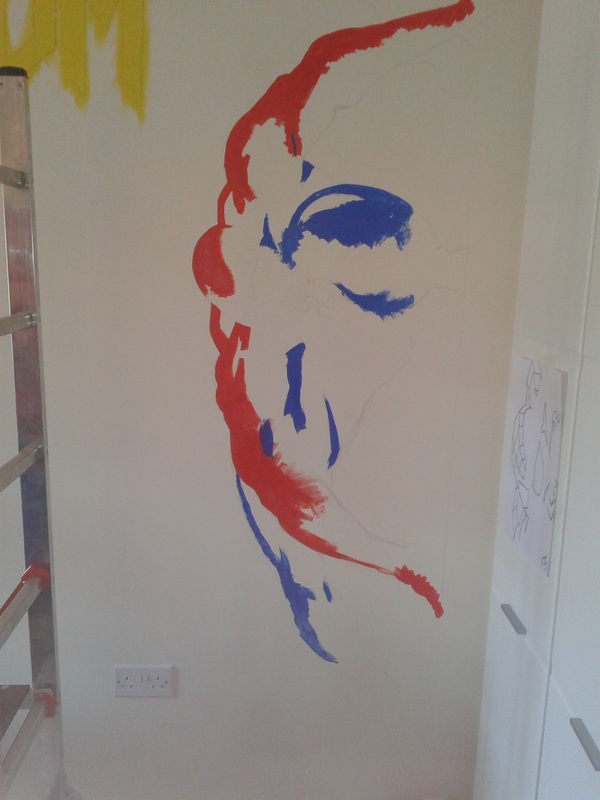 Also to give Superman a bit more of a 3D effect we have made it look like he has flew through a hole in the wall. 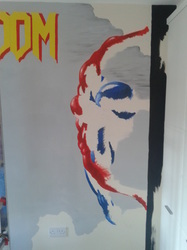 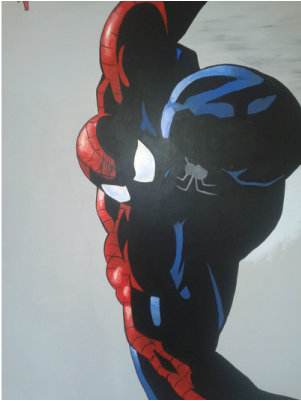 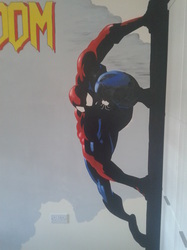 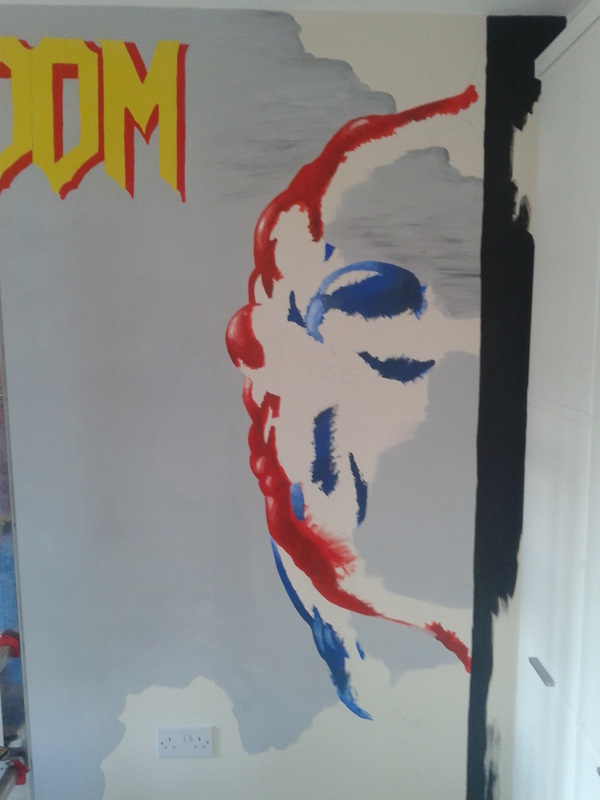 Along with Superman we have a moody looking Spiderman hanging off the right hand side wall near the wardrobe. 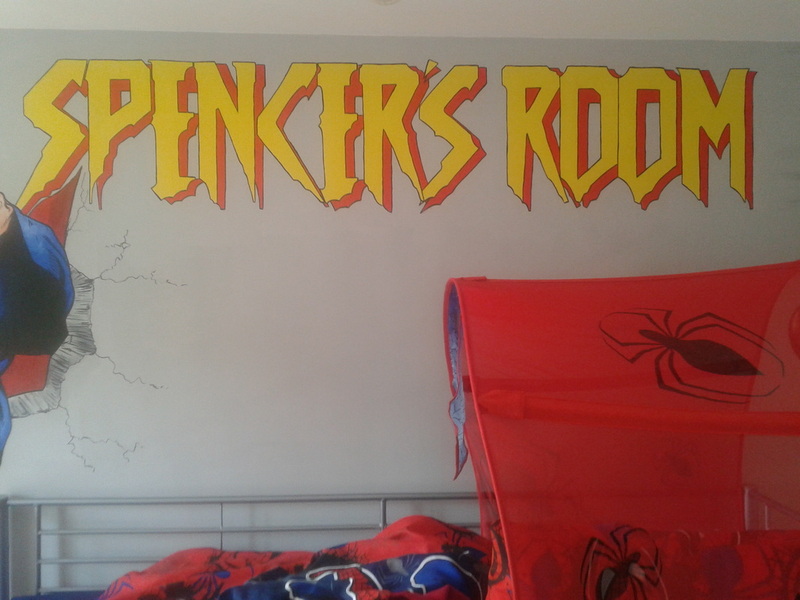 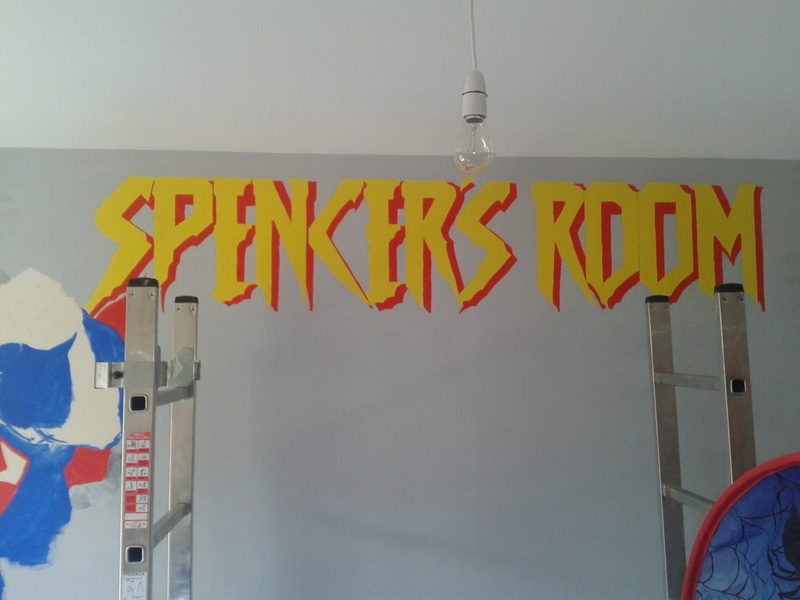 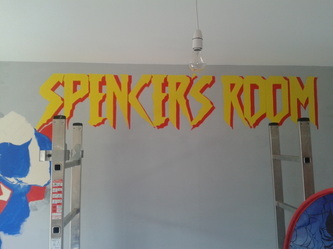 Finally they wanted "Spencer's Room" as part of the mural. 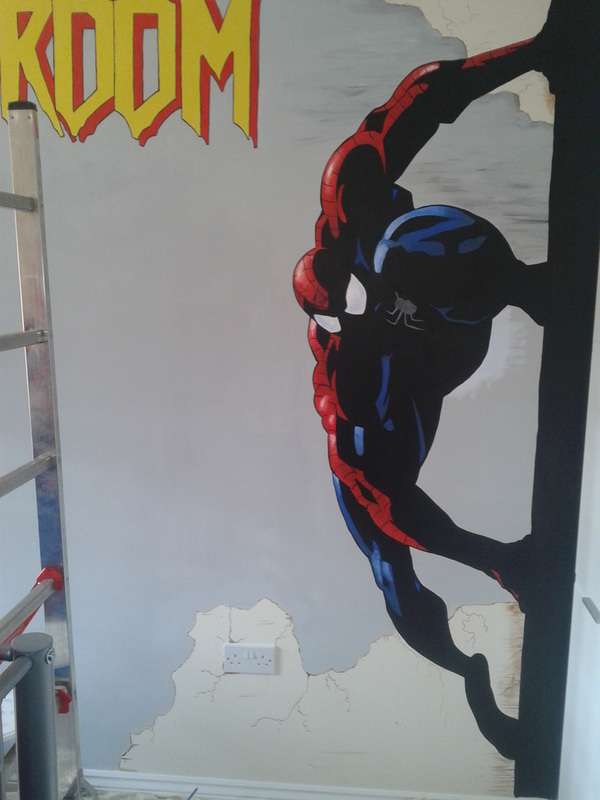 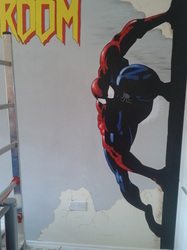 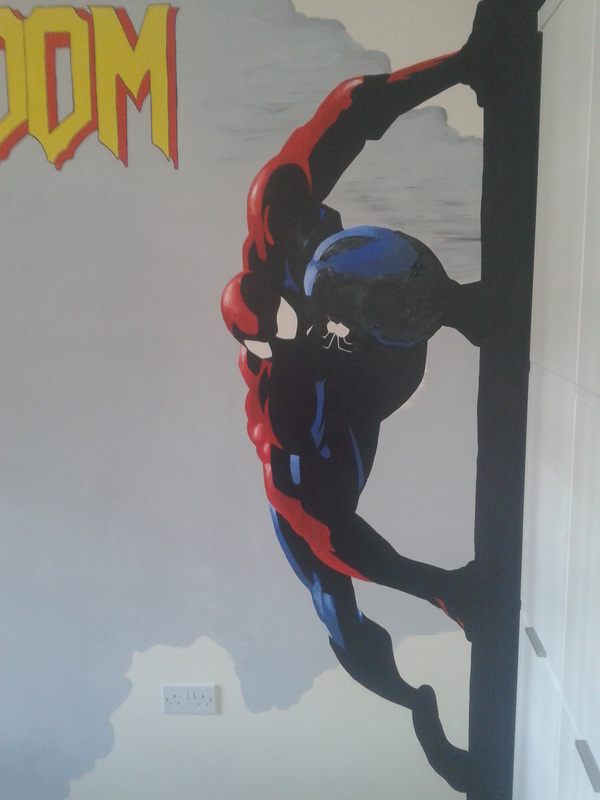 The font is taken from the 90's cartoon tv series the amazing Spiderman, which does give the final touch to this "amazing" wall mural.